As a woman pregnancy is probably the biggest risk you will take in your life, and you pretty much sign up to do it without any idea of how it's going to go. Especially for your first pregnancy you don't know how your body will react. Your first fear may actually be around if you'll be able to get pregnant in the first place (this was a big fear of mine!) or you may wonder if you'll end up with severe morning sickness. If Kate Middleton can't escape then what can the rest of us expect? Expectation - With all the aches, pains, worries, emotions and other things you've never experienced before, I thought there would be a lot of complaints coming out of me! Reality - It's okay to complain but I totally get why most women don't (other than to their husbands who need to give them foot rubs!). Most of the time you've been planning for months or years to become pregnant and you're so excited to have this tiny life growing inside you it feels so wrong to complain about any part of it too much. Having a rough day and wishing you were closer to the end of pregnancy is totally normal, but I also understand the feeling of wanting to stay positive regardless as pregnancy is part of the journey to baby! Expectation - I couldn't wait for my belly bump to appear, get that pregnancy glow, and be an adorable pregnant person. Reality - I feel twice as big as I look, especially when trying to sleep with this new belly. Everyone tells me how tiny I still look (and maybe they're just being nice) but I feel gigantic! And I just started the third trimester. Not exactly sure how I'll even function by the very end... And the glow - I have been so lucky to not have morning sickness badly but even still the "glow" is a little dimmed by the dark circles constantly under my eyes that never get covered up because I'm too tired to wear makeup! Ha! Expectation - When I first became pregnant I thought I wanted any and all advice. Reality - You don't really want to hear everyone's stories. We all know no one likes unsolicited advice. But the thing I've also gotten tired of is the "well when I was pregnant..." or "just wait until..." any time I say anything about how I'm feeling! If I'm tired it's "just wait until baby is here!" (yeah, no duh! Doesn't mean I'm not tired now too). If I share that baby kicks and moves all the time it's "well when I was pregnant the baby kicked all night and was up in my ribs and punching my bladder at the same time!". If I'm talking with family and friends it's different but when it's just small talk with a practical stranger... yeah, no thanks. Pregnancy is so different for everyone. Even one woman can have 2 completely different pregnancies. 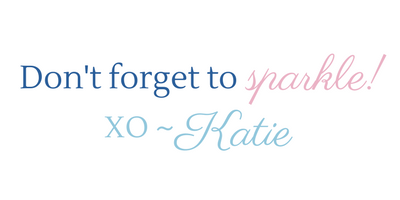 Sometimes we just want someone to commiserate with us, not try to "one up" every story. Expectation - I'll always feel pregnant when I'm pregnant. Reality - Sometimes you won't feel pregnant. Some days I wake up and before I move or get up I don't really feel pregnant. I guess I'm lucky that for the most part I'm feeling good overall, but it kind of freaks me out! I have to reach down and feel my belly or telepathically get the baby to give me a kick or simply roll over and remember "oh yeah I'm a beached whale". Expectation - The first trimester will be stressful but once we get passed that we're home free! Reality - You'll never stop worrying. And I know this will never end and probably just get worse once baby is here! Just like in life, bad stuff can happen any time during pregnancy and it's scary to feel so out of control of something that's happening in your own body. It's not like I'm constantly overcome with fear but those thoughts of what could go wrong are on my mind often. Pro tip - stop reading every sad story that pops up on Facebook because it knows your pregnant and wants to make you miserable for some reason. Expectation - People have a lot of opinions on pregnancy and your belly bump makes them think they have a free pass to share their thoughts. Reality - Yeah, I was pretty much right on this one... People have many opinions, most of them strong. My natural inclination is to argue back with facts as I'm pretty educated on many things (I literally read EVERYTHING since becoming pregnant!) but I've learned in this case it's much better to just take a deep breath, smile and nod, and hope I'm never as pushy on new moms with my thoughts once I'm more "experienced". Expectation - Everyone's been a first time mom before, so they'll know what to say and what not to. Expectation - It's going to feel so creepy! Like an alien! Reality - I love my little alien! Every kick is a little "hi mom!" to me - not creepy at all. We love to lay in bed and watch my belly to see it moving! It's amazing that our little one is growing so strong in there! Expectation - He's going to be a big help. Reality - I can't begin to explain just how awesome Brian has been. He pretty much does everything for me, from making me breakfast every morning to rubbing my feet every night! I know if he could he would probably even go to work for me too so I could stay in bed all day (think how huge I'd be then!). I can't wait to see him with our daughter and I'm so excited for her at what an amazing dad she's getting! Phew that was quite a lot! But there is just a lot involved with growing a human! 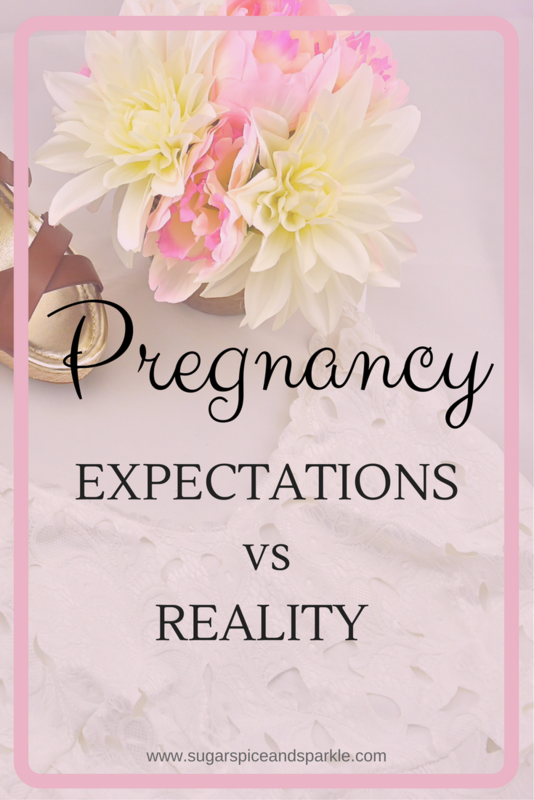 Hope this helped in some way and like I said, I'd love to know your pregnancy expectations vs reality too!